Oval gear meters are presented by TM, TN and TS series, and are used for metering fuels, lubricants, oils, industrial fluids. Oval gear operating principle. The oval measuring chamber contains two oval gears. Each gear is centered on a horizontal post (shaft). The two gears have interlocking teeth, so the gears maintain the correct relative position to each other without the use of external timing gears. As the gears turn, liquid volume being metered forms between the gear and the side of the measuring chamber, alternately in the lower and the upper half of the measuring chamber. 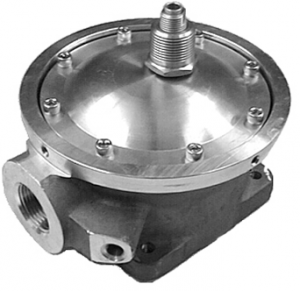 In a complete cycle (360° turn of rotors), 4 identical liquid volumes are transferred from the inlet side to the outlet side: At 0-45° the lower half of the chamber fills, at 90° it is fully defined, and at 135° it releases to the outlet side etc. The origin of the oval gear metering principles dates back to the 1930s. In the original design, the tooth profile has sharp edges, and tooth shape varies depending upon tooth location along the circumference of the oval gear. In 2003 Tuthill Transfer Systems was awarded a patent on a revolutionary new oval gear design, which we have named the Waveform gear. This design has a smooth tooth profile, and the teeth have the same shape along the entire circumference of the oval gear. 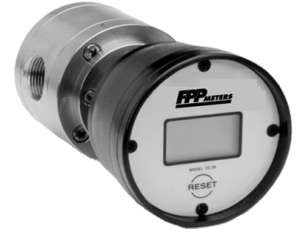 This eliminates backlash, and reduces flow meter error. The Waveform gear design has been introduced in most model sizes as of 2006.